Today we’re super excited to announce the launch of our Kickstarter campaign for Run An Empire – a game we’ve been working on, where players compete against each other to capture territory in their local environment by running (or walking) around it. We’ve been a fan of games like Starcraft, Civilization, Risk and Go for most of our lives. 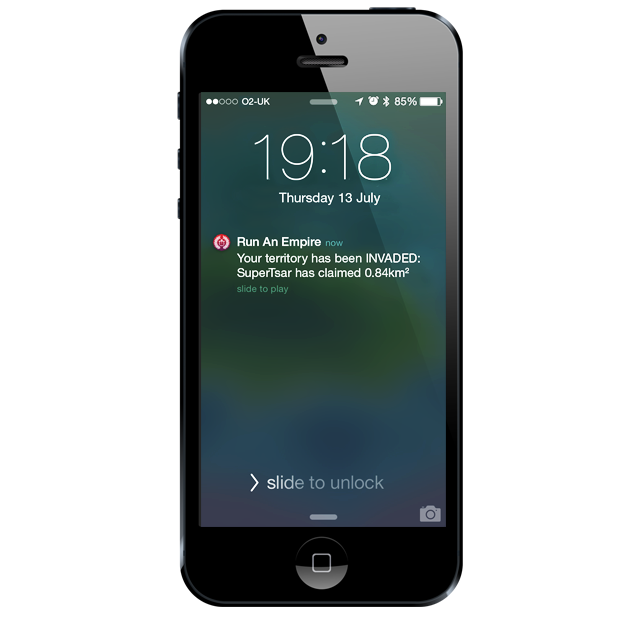 Run An Empire for us represents the kind of strategy game we’d love to play ourselves – taking the strategic thinking required for digital and board games and injecting it into the real world, where physical actions can make a difference. 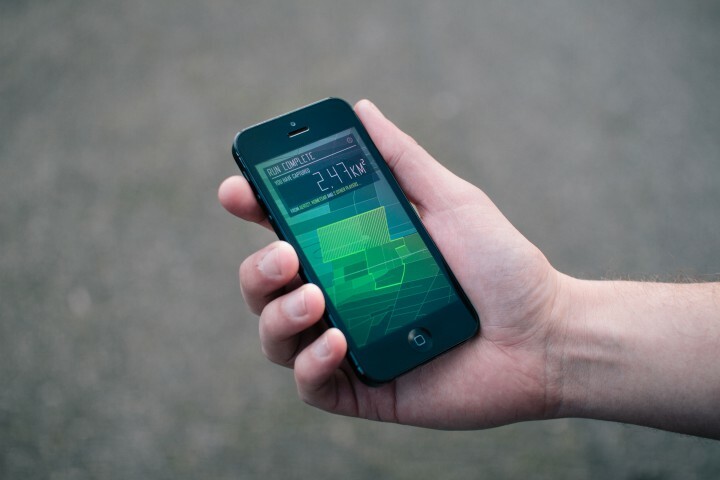 The game will use GPS to record the paths players take – local neighbourhoods will become new arenas for strategic play. To control a territory, a player simply has to sprint, jog or saunter around it. For a competing player to capture it from them they need to do the same – either faster or more often. Territory can be better protected from invasion by encircling it multiple times. The key to success is dedication. The game is designed for people like us, not naturally gifted athletes – a slow player can beat a faster opponent if they show more determination. 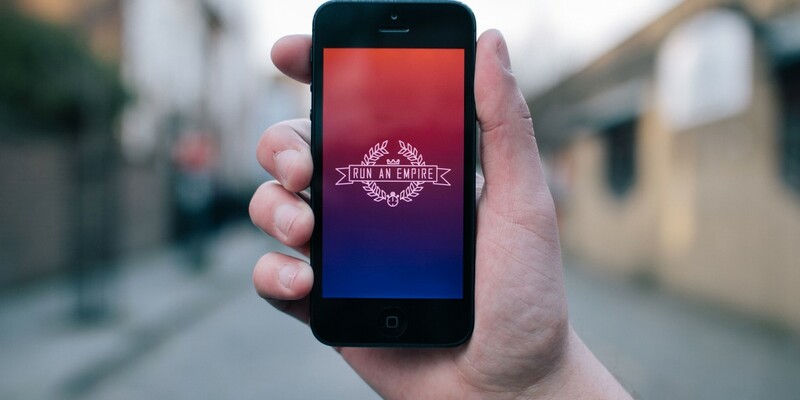 Rather than a gamified fitness app, we see Run Your Empire as a strategy game with sports-like real world elements. While there’s certainly a potential health benefit (which we’ll enrich as best we can with player analytics) what we’re really excited about seeing are the strategies players enlist to achieve victory. We have already been awarded some seed funding from Ordnance Survey’s latest Geovation Challenge, where the theme was Active Lifestyles. 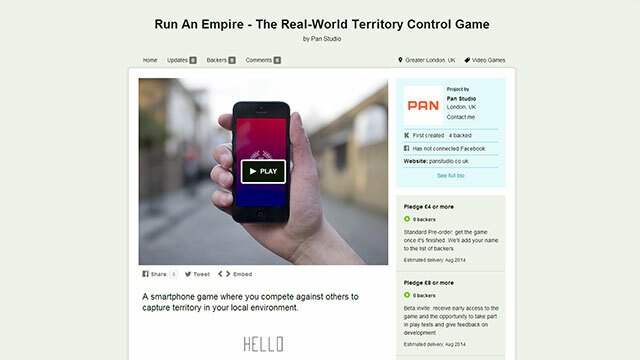 Now we aim to raise a further £15,000 whilst building a community of beta-testers to help develop the game mechanic. The first release of the game will be available for iPhone, with an Android version planned as a stretch goal. We would hugely appreciate your support through the length of our campaign. Pre-order copies of the game are available from £4, but we also have posters and in game miscellanea up for grabs. Visit the Kickstarter page and see if there’s a reward there that suits you.